There is nothing I love more than white! 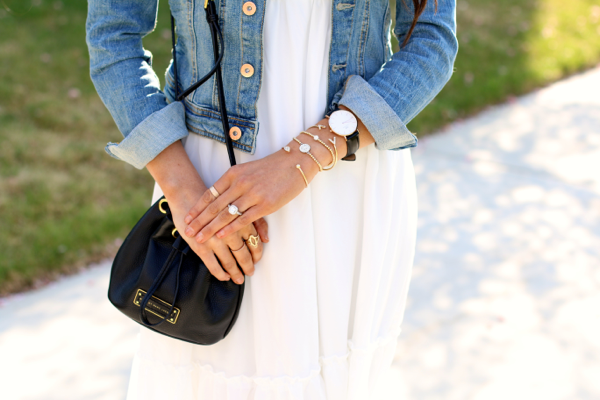 And this white maxi from Chicwish is right at the top! I love this! I love how flawy, how romantic, and how it screams summer! It is so feminine! I love the chiffon and the lace! I paired it with my favorite cropped jacket and my “go-to” shoes right now, these Hinge sandals! This is at the top of my list of looks! Hope you guys enjoy and are having a great week! 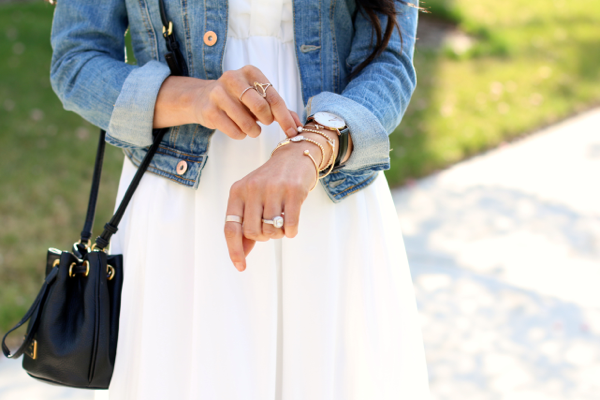 That white maxi looks so pretty paired with the denim jacket! love this easy, breezy look!